This is an original composition by Hungarian violin virtuoso Nandor Szederkenyi, former concertmaster in several major orchestras from Japan to Austria, who also had a long career as soloist. Incorporating probably all major violin works, particularly concertos written in D minor or major, it may be called the ultimate cadenza. 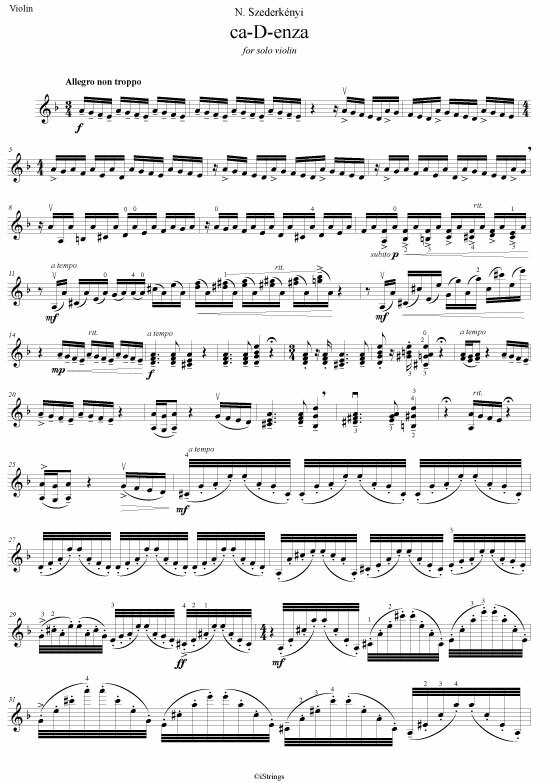 A typical “violinistic” piece for solo violin, like a cadenza, but meant more as an encore than a cadenza, as there are so many quotations of different works involved. 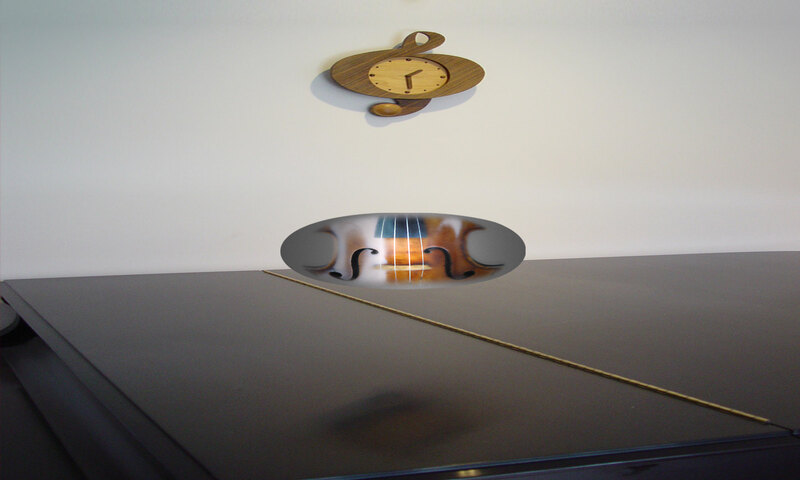 It is a fantasy, thematic ideas flowing freely, demonstrating modern violin techniques, which gives lots of fun for the player and audience. Published using the leading notation software Finale, bowings and fingerings are included, to make studying this interesting, fun piece easier. Please choose either the PDF or printed music option! The original composition of ca-D-enza by N. Szederkenyi for solo violin includes bowings and fingerings. The pdf file will be available for download for one day after payment. Please place your order in the shopping cart and you will be directed to PayPal. Please observe that these works are under copyright, you may purchase these for your own use. Please do not make further copies to give to colleagues and friends. Please include the name of the composer on any performance programmes. In der Komposition ca-D-enza für solo Violine von N. Szederkenyi sind alle Bogenstriche und Fingersätze eingetragen. Sie werden das pdf Dokument nach Bezahlung in einer von Ihnen bei Anmeldung angegebenen Email erhalten. Legen Sie es in den Warenkorb und Sie werden zu PayPal weitergeleitet. Bitte beachten Sie dass diese Werke unter Rechten stehen, Sie können sie für eigene Zwecke kaufen. Bitte verbreiten Sie keine weiteren Kopien unter Kollegen und Freunden. Bitte geben Sie die Name vom Komponist in Konzert Programmen an.